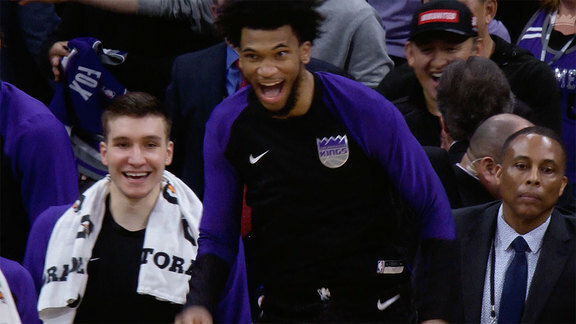 Find out why the newly-acquired forward, capable of contributing heavily in a multitude of ways, will have a significant on- and off-court impact in Sacramento. Long before he stepped foot inside the Kings practice facility and changed into a reversible No. 40 jersey, Harrison Barnes recognized a familiar winning recipe in Sacramento: pace, efficiency and unselfishness. 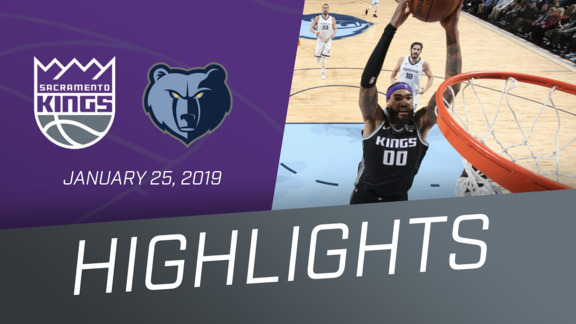 The former North Carolina Tar Heel is only two games into his Kings tenure, but so far, he’s checking off each of those boxes and playing a complementary role that accentuates both his and his teammates’ strengths. In the process, he’s proving why, in today’s NBA – with teams placing a high premium on two-way positional versatility and outside shooting – players fitting his archetype are so indispensable. His ability to split time between small forward (48 percent of his career minutes, per basketball-reference.com) or power forward (50 percent) allows Kings Head Coach Dave Joerger the ability to get more creative with matchups, schemes and game plans to maximize spacing. Barnes has shown he can effectively play within the flow of Sacramento’s offense, whether he’s the first option or the fifth. After dominating nearly a quarter of the Mavericks’ offensive possessions, his usage rate in Sacramento has dipped to 14.6, more in line with the fraction of plays he was involved in during his final season in Golden State (15.5), per NBA.com. On the season, Barnes is taking 43.8 percent of his shots from long range – nearly 10 points higher than he has in any previous year – and connecting on 38.5 percent of his attempts; among all forwards with at least six long-range shots per game, only three have been more accurate. When their newly-acquired star has been on the floor, the Kings have outscored opponents by 9.9 points per 100 possessions. In Sacramento’s comeback victory against the Heat on Feb. 8, the team was plus-12 in his 18 second-half minutes. The sample size may be limited, but that doesn't mean it’s a fluke. Four of the Mavericks’ five most effective lineups featured Barnes in the frontcourt, paired with either first- or second-unit players. Most notably, when he shifted to the stretch-four with Dallas’ usual starters alongside reserve guard J.J. Barea, the Mavericks were plus-25 in 41 minutes. Of course, the Iowa native has developed into much more than a spot-up ‘3-and-D’ wing from his tenure with the Warriors, but rather a dynamic scorer who averaged 18.7 points per game since becoming the primary option in Dallas three years ago. The 6-foot-8 forward – who cites Kobe Bryant, Tracy McGrady and Carmelo Anthony among his basketball idols – can post up smaller defenders, score on either drives or jump shots out of the pick-and-roll, and when called upon, carry the offense in isolation situations. While his efficiency has slightly decreased this season, in 2016-17, he was one of the top mid-range shooters in the League, drilling 46.4 percent between eight to 16 feet – sixth-best among high-volume shooters. 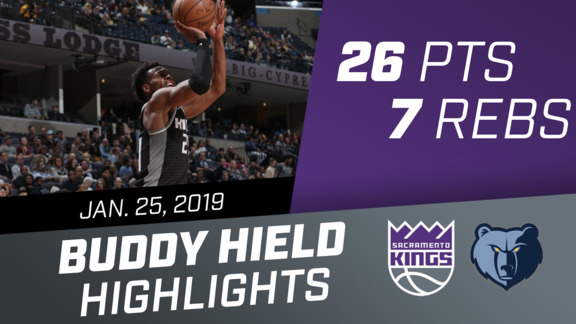 Last season, his 43.8-percent mark from 16 to 24 feet placed him fifth among forwards with over 200 attempts, ahead of All-Stars LaMarcus Aldridge and Anthony Davis. His evolving offensive repertoire is only part of the equation. On other end of the court, Barnes has been a reliable team defender who’s made proper rotations, rebounded well for his size (5.7 per 36 minutes) and persistently slowed down opponents at multiple positions. Aided by solid core strength and a near-7-foot wingspan, Barnes can swing from defending shooting guards on the perimeter to holding his ground against big men in the post, even when facing a major size disadvantage. But if offense came more naturally for Barnes – who set the ACC Tournament freshman scoring record with 40 points on March 12, 2011 – defense was once deemed the biggest weaknesses on his scouting report. His ongoing offseason training regimen and commitment have clearly paid dividends. Players defended by No. 40 have converted on 33.8 percent from the field on shots outside of 15 feet, per NBA.com – 3.4 percentage points below their cumulative season average. Barnes has also effectively disrupted three-point shooters with aggressive close-outs, holding his counterparts to 35.4 percent from behind the arc. Sacramento’s defense has allowed only 90.1 points per 100 possessions when he’s in the lineup – 13.2 points per 100 possessions better compared to when he’s been on the bench. While Barnes recognizes the game’s elite scorers will still find ways to put the ball through the nylon, his objective is to keep his nightly opponent from finding an effective rhythm. In three matchups against Warriors All-Star Kevin Durant this season, Barnes held the former MVP below his season scoring average, limited him to 28.6 percent shooting from behind the arc and forced one turnover per game. At age 26, Barnes is just now entering the prime of his career, but he’s already an established veteran with a championship ring and 64 Playoff games under his belt. His wealth of experience and leadership is essential to one of the League’s youngest locker rooms; outside of fellow newcomer Alec Burks, only one other rotation player – Nemanja Bjelica – has any postseason appearances (five). “(The key is) trying to develop everyday habits that put you in a position to have the right preparation,” Barnes explained. Hard-nosed defense, elbow jumpers and go-to mentorship won’t get the 2016 USA Basketball gold-medalist the same type of social media buzz or slow-motion highlight reels as some of his flashier teammates, but Barnes may end up playing just as big of a role in the team’s second-half push. And while he’s barely even had time to unpack his suitcase after a whirlwind week, Barnes is as eager as anyone clad in purple-and-black to end the Playoff drought in the River City. “To be a part of this, to see it up close – talking with the coaches, talking with the players – it's exciting just to see the hunger they have to win,” he said.